Lali, my toddler, is now appreciating letters and numbers. She sees them everywhere and loves to call them out, however, she hasn't learned them. She refuses to learn via books and songs, so I started this project and had her help me. 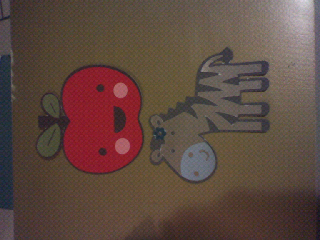 I pulled out my Cricut, the Create-A-Critter cartridge and got to work on creating a critter per letter. Each critter has 3 different layers of paper so they are sturdy. 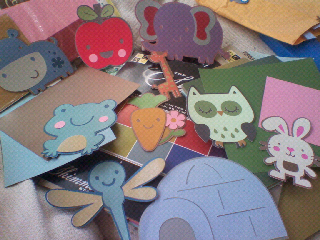 I then added the appropriate letter sticker to the critter and voila, a critter letter set. I plan on laminating them so they last and I can use them with Elia in the future. It took me ALL day to do this, they look fantastic and totally worth it. Only letters that aren't represented (by cartridge) are N, Q, V, X, so I made my own. what a creative way to teach her! well worth the effort. Thank you Dawn! Her full name is Lalibela and she is so stubborn that this was the only way I could gain her interest. That's such a good idea for your toddler! My little girl is 4 months and I can't wait to start teaching her things and having her paint with me! I love the name of your website too. Awesome! I also have a 4 month old, she was born 5/21. I am loving it and having a newborn again! Toddlers are fun and fun getting to know! You are going to love it!